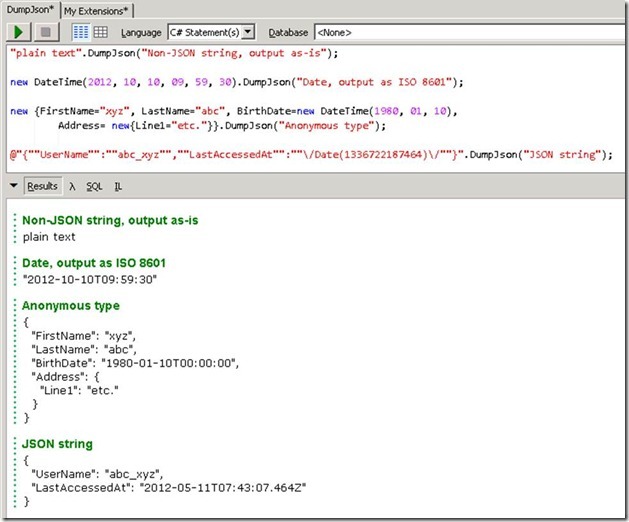 Call with .DumpJson() on any object, and it will serialize to formatted JSON and output it. 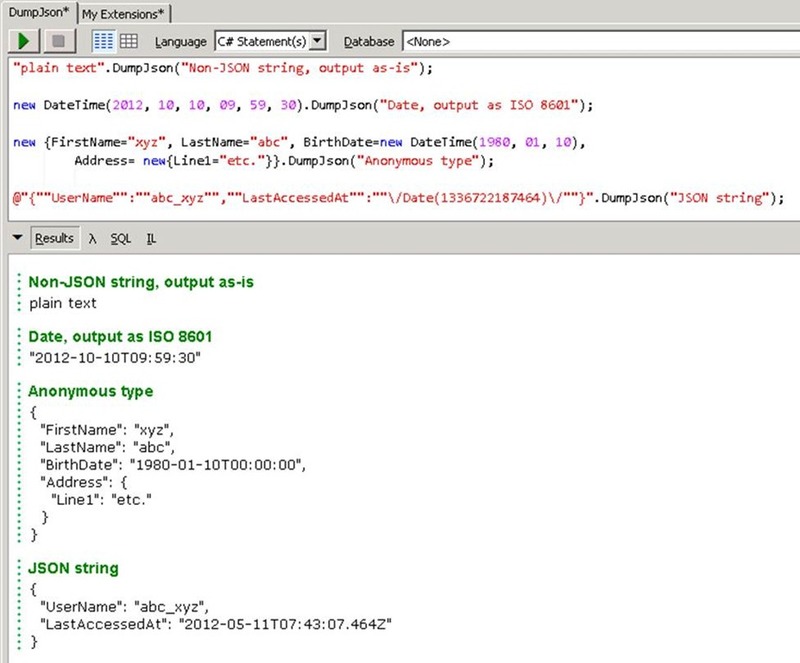 If you pass a string which is already JSON, it round-trip serializes it to get the formatted version (including converting WCF-formatted JSON dates to ISO 8601). Makes for a very handy testing rig for REST services. Linqpad has just released NuGet integration for premium memeber (http://forum.linqpad.net/discussion/42/nuget-integration), so coupling this with your extension it makes things so much easier. Might be worth a quick update to this. please explain how to add your "My Extensions" class? I see it in the second tab in the screen shot. However I'm not sure of the other settings. Like many other extension methods, this is best method also. Thanks for such a nice and informative post regarding different software. We love this particularly great article on your website.more format plz?